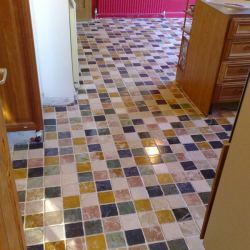 Covering Birmingham, Sutton Coldfield, Solihull and the West Midlands you can trust us to carry out your tiling project in a professional, polite and timely manner. Relax, we pride ourselves on finishing one job before starting on another. You can be certain we'll show your property or premises the same respect that you do. AJ Tiling Services are dedicated to providing a quality service in all aspects of Wall and Floor Tiling. AJ Tiling Services stands out from the competition due to the personal service we provide. Starting out with free estimates and advice, AJ Tiling Services offer an affordable yet high quality service undertaking both commercial and domestic contracts. We carry full public and employee liability insurance. We also offer a full warranty-backed guarantee on all work carried out. We are Construction Skills Certification Scheme (CSCS) card holders and members of The Tile Association (TTA). AJ Tiling is a fully approved member of the leading tiling trade body, The Tile Association. The Tile Association employs a very strict vetting procedure which ensures that only companies of high repute become members. The Association sets out guidelines and best practice procedures for all types of tiling jobs. As domestic tilers we work in Birmingham including Erdington, Harborne, Edgbaston, Castle Bromwich, Moseley and all other suburbs. 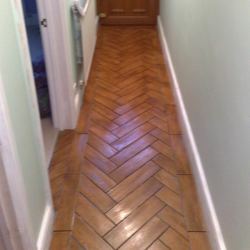 We also carry out tiling work in Solihull, Knowle, Shirley, Dorridge, Dickens Heath, Sutton Coldfield, Streetly, Little Aston, Tamworth and the surrounding areas. Commercial tiling available across the UK.